So we found ourselves in London with a whole day to fill with food and beer. For the first time in ages there was nowhere that I had a burning desire to visit, so I consulted 'the list'. 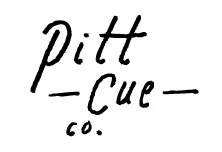 Pitt Cue Co has been on my radar since before it even opened. I read an article in one of the food magazines about a young chap called Tom who had a food truck and a whole lot of ambition. I was sold. So why have we never been before? No reservations. Grrr. 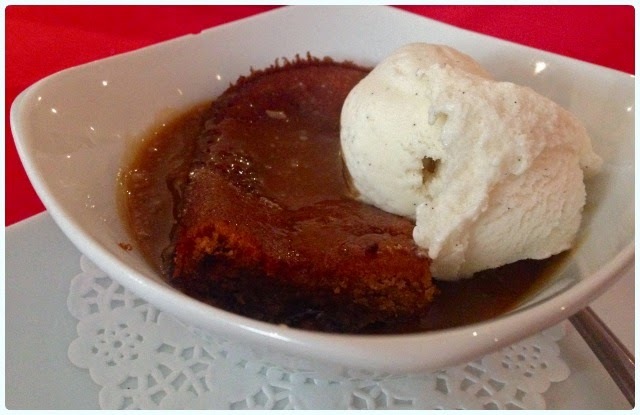 If I'm travelling all the way to London, I do not want to be disappointed - remember what happened the first time I tried to get a table at Lady Dinah's? It was not a happy tale. However, it was still on the list. Our train was due to get into Euston at 11am, and Pitt Cue Opens at 12pm, so we had ample time to get in line to sample some of their famous barbecued meat. I was all psyched up for a huge queue, and a long wait. No bugger there. I was amazed! The restaurant is tiny with around twenty seats downstairs, a couple more in the bar upstairs and a few benches out front. We read the menu pinned to the net curtain rail, and listened to a few builders pondering whether a Rustler's burger can be eaten without microwaving. I would have thought not, or ever for that matter. When the doors opened we were shown to the dining room where a pleasant young lady went through the specials with us, and offered drinks. 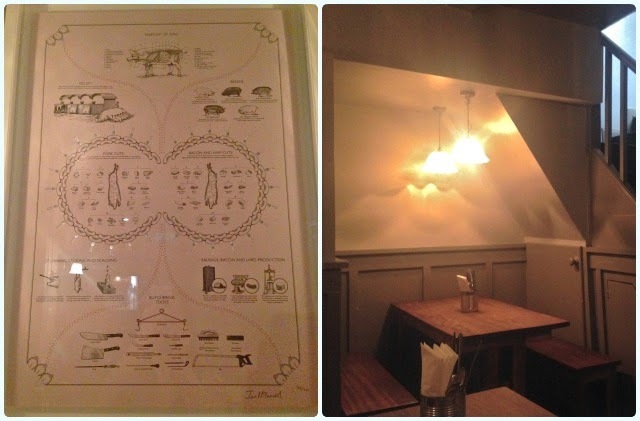 The artwork is minimal and meat related, tables are small and the lights dim. If you like your personal space, forget it. I generally fall into this category, but my greed outweighs it sevenfold. 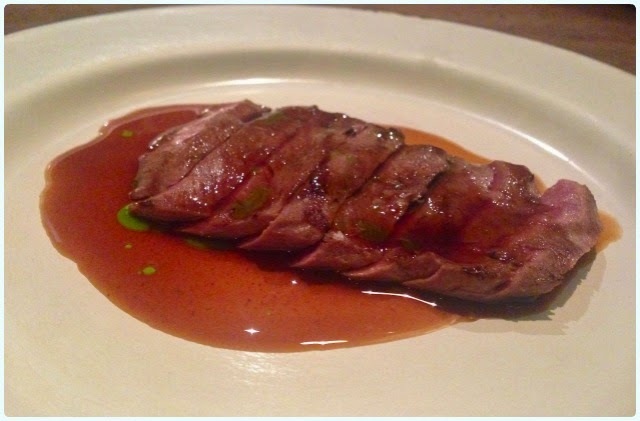 Lamb's heart: Busted. We had originally planned to go to St John, but Smithfield was closed and Bread and Wine had a full takeover. This scratched the itch for my offal loving husband. He practically inhaled it. I won't tell you what else he did, just rest assured it was rather ungentlemanly. 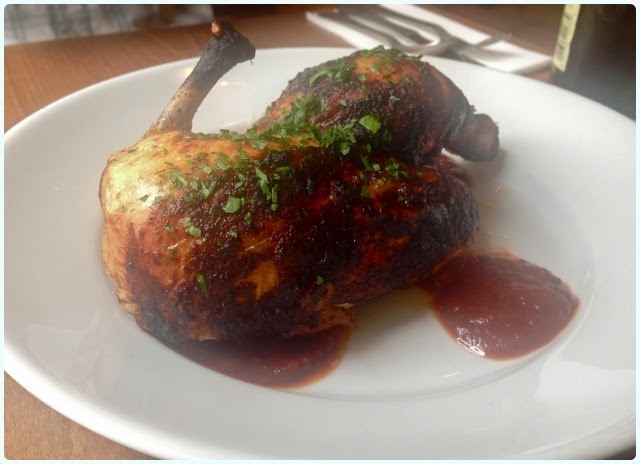 Smoked chicken thighs: Actually one of the best things I have ever eaten, and I eat a lot. 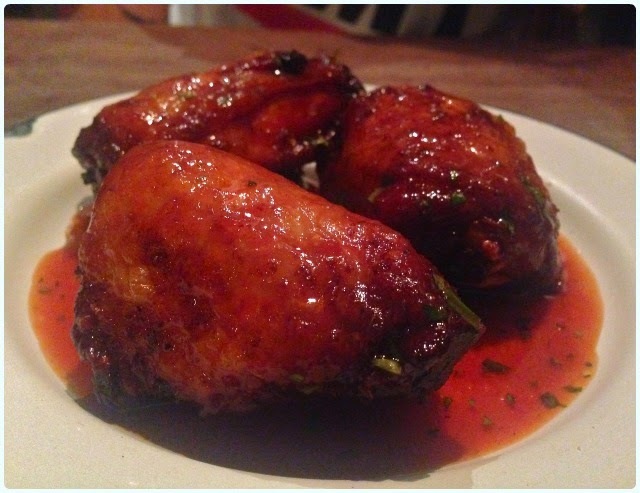 Sticky, sweet, smokey and moist. I have that anger I usually get when I am unable to summon something I actually loved. Hogwarts here I come. 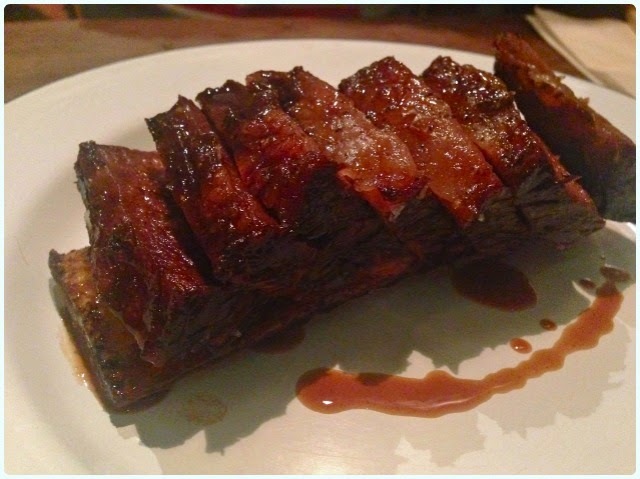 Beef fore rib: This was on the daily specials menu. 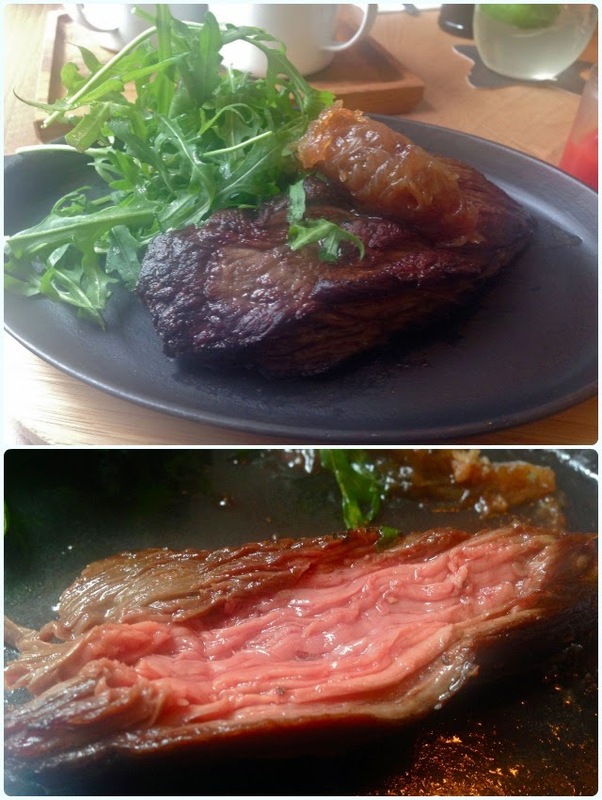 It was cooked slowly on the bone, but was still beautifully pink and tender. 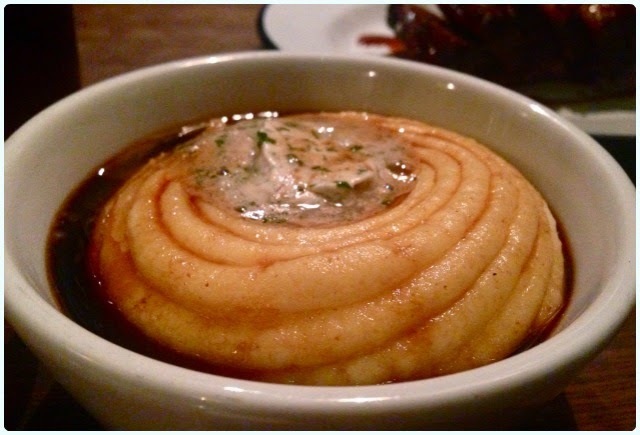 Mash with bone marrow: Another option for the offal fan. 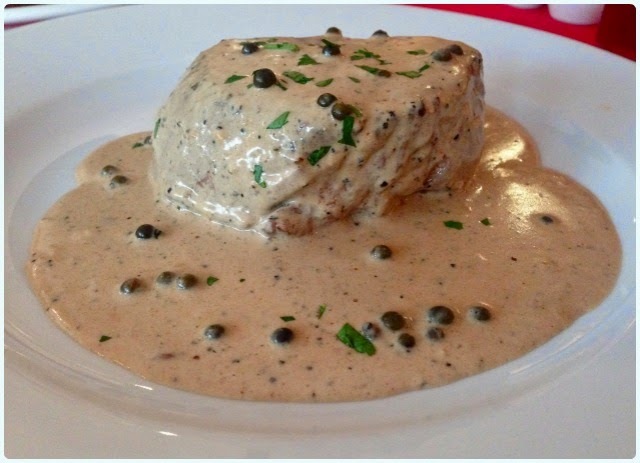 Creamy and light with a healthy dollop of herb infused marrow and beef gravy. 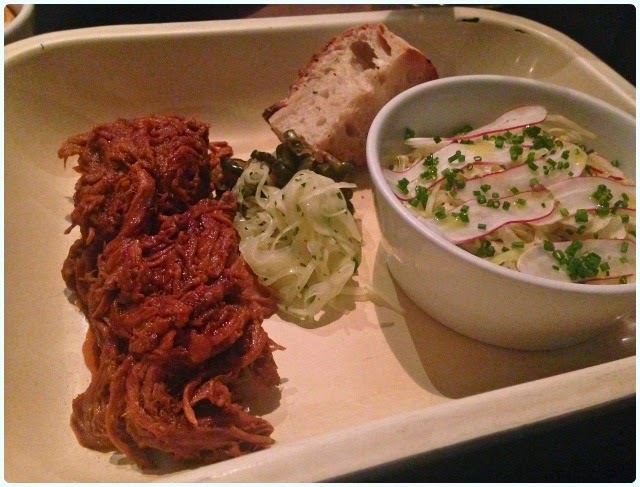 Pulled pork with sourdough, pickles and green chilli coleslaw: I know. Pulled pork went out with the Ark, and none of the cool kids are eating it any more. To coin the phrase from school, 'bothered'. I adore pulled pork. It embodies everything that is wonderful about barbecued food, and this was a particularly fine example. The tart pickles complimented it perfectly, as did the tangy coleslaw. Well worth the wait. I know decent barbecue isn't hard to come by these days, but a good example of it is not watered down by it being readily available. 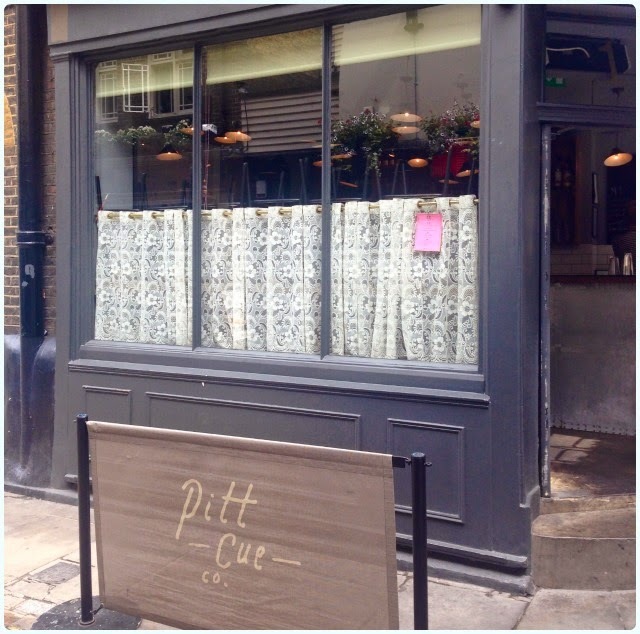 Pitt Cue are not a carbon copy of the likes of Duke's, Bodean's and Red's. Their menu is small, changeable and wholly dependent on what produce is coming in that day, and I'm sure a little of what they fancy. Service is fast and friendly, and queuing is not a problem if you get there early, even on a Saturday. 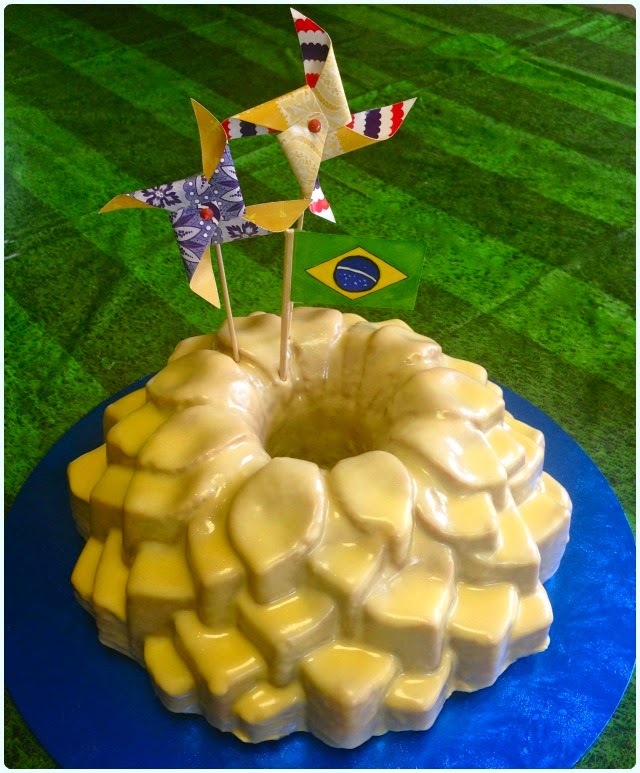 I still can't say Caipirinha, but hey, I only have to write it in this post! 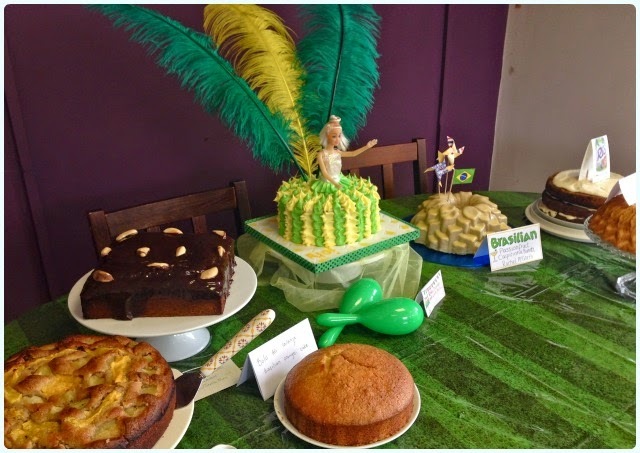 This month's cake club had a Brazilian theme, and I was utterly stumped - you would never believe that I set these themes, would you? It was my friend Matt who ultimately gave me the idea. I wanted something fruity that tasted of sunshine; cue the Caipirinha! This is a cocktail made with Cachaça, sugar cane and lime, but is often mixed with fruit juice to make a tall, refreshing drink. This one isn't too boozy, and is naturally sweet because of the beautiful passionfruit. It scents the whole house whilst cooking too. I found an amazing ready made Caipirinha in the spirit section in Tesco, which made my job a whole lot easier! 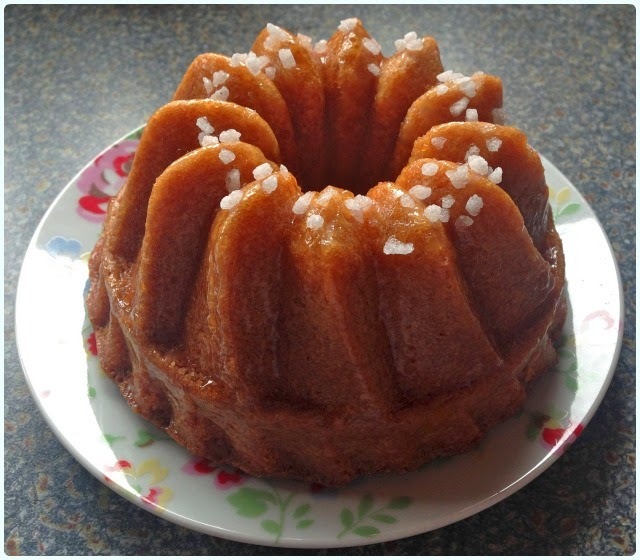 I couldn't resist using the pretty Nordic Ware Blossom tin for this one, as I knew it would look amazing when covered in my sweet yellow Caipirinha glaze. 250ml passionfruit yoghurt - try to get one with a layer of coulis. Add the lemon and orange extracts, zest and ready made Caipirinha cocktail. 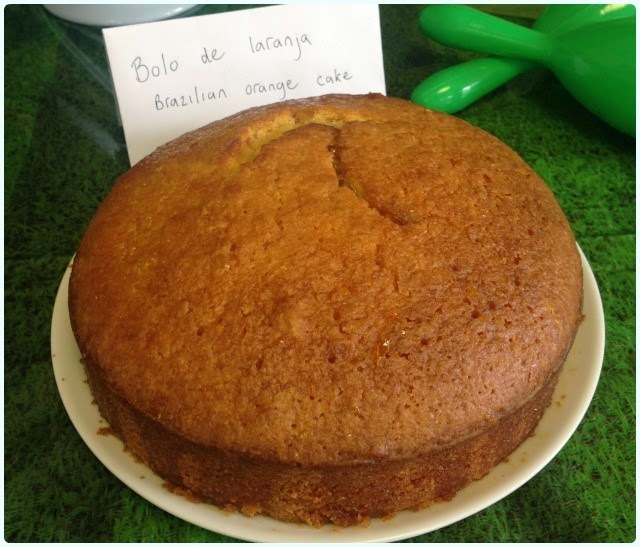 When completely cold, mix the icing sugar with enough of the ready made Caipirinha cocktail to make a runny glaze, and add a little yellow food colouring. And historically June is a tricky month... For the past couple of years June has been a bit of a killer with holidays and people making the most of the sun. 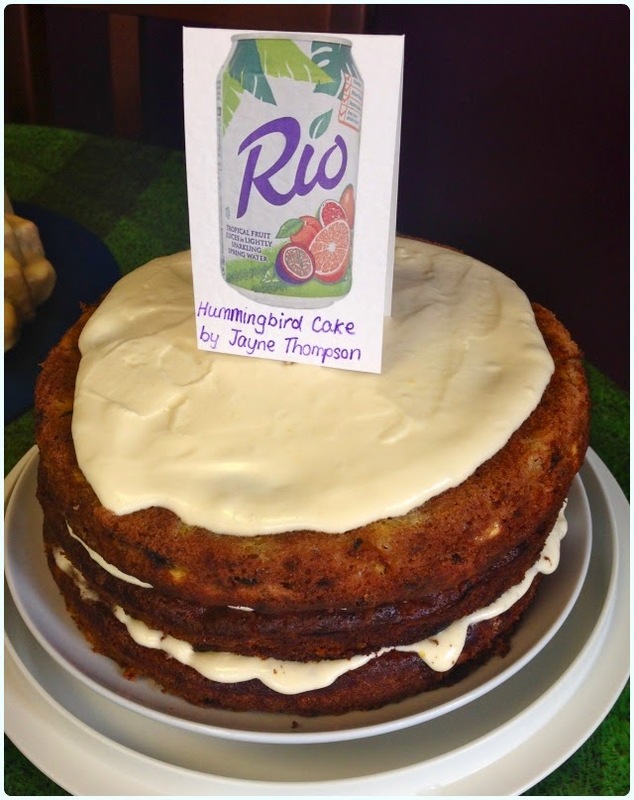 Although there were only a handful of us at Saturday's meeting, the cakes were larger than life! We even got our maracas out... You heard me. 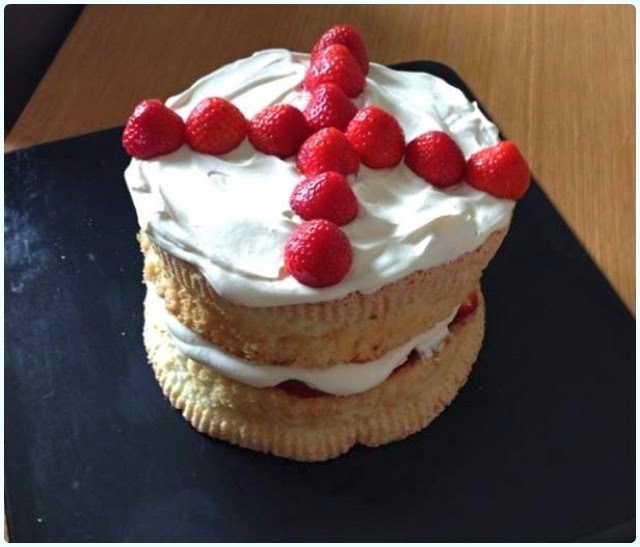 I was fairly confident when booking this one that England would go and bugger up our chances of winning anything, so I decided to concentrate on the host country for this month's cake club. Brazil boasts arguably one of the best carnivals in the world, grows amazing exotic fruits and have some fantastic national dishes and drinks. It was quite nice just to have a few of us, because we got to have a good old chin-wag, and there was loads to take home! 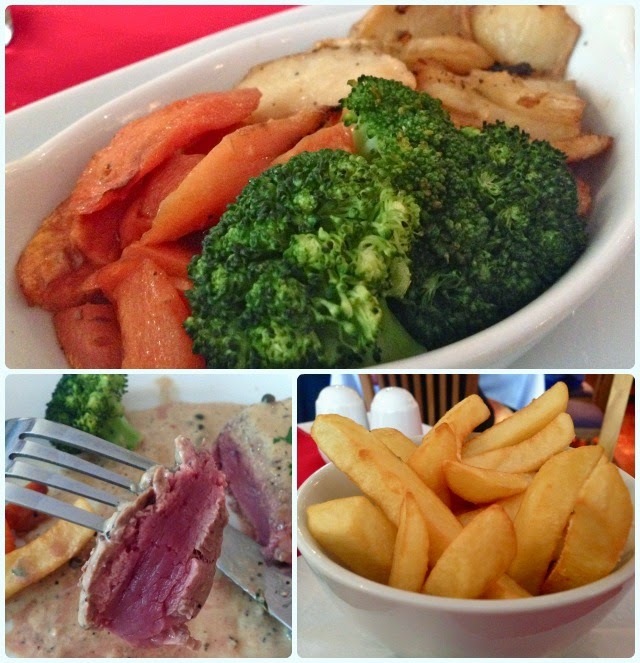 We were back at the delightful Cherry's in Westhoughton. Stephanie and the girls waited on us hand and foot, and even came to have a chat to the bakers about our cakey delights - we made sure they had a decent bounty to take home too! Thanks to those who battled through the heat and survived the smoke from the fire across the road! Yes, we smelled like we had been on fire when we got home, but a great afternoon of cake and gossip was had by all. Our next event is on the 19th July, and our theme is 'Naked'. Register here. I get my cake loving genes from my dad and maternal grandad. 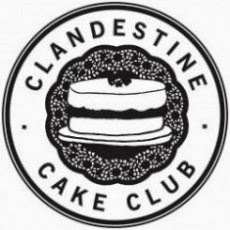 I have a war on two fronts, so was always destined to be a bit of a cake face. Every Father's Day I whip up some form of baked goods as gifts. 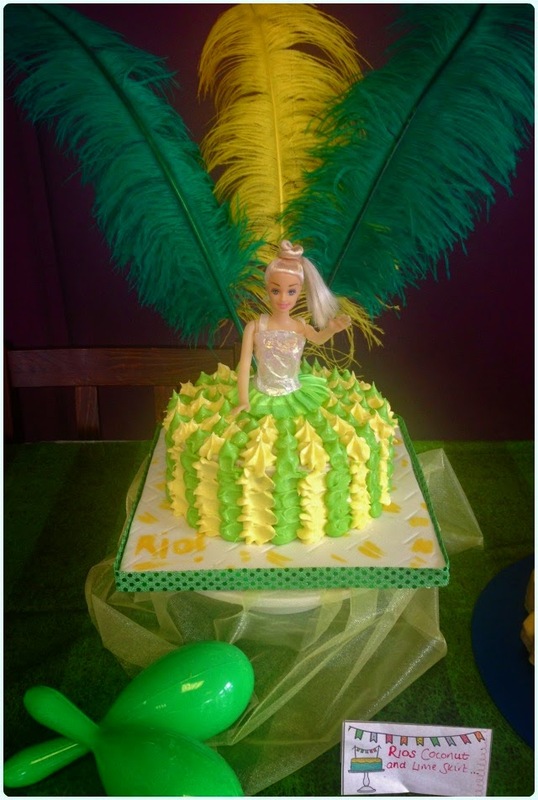 They both like moist, fruity cakes, so I always try to do something different each year. 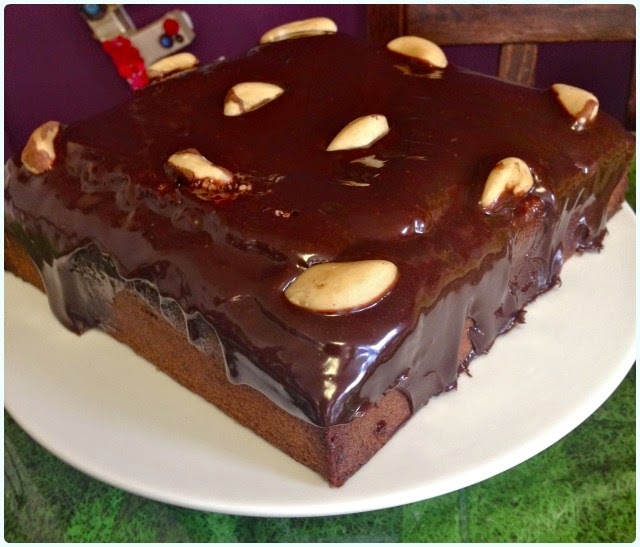 Note: I used bundtlettes for my cakes, which are smaller versions of the regular tin. Add the vanilla and lemon extracts. In a separate bowl, measure out the flour, bicarbonate of soda, salt, spices and dried apricot. Pour the yoghurt and honey into a jug. Sift in a third of the flour mix followed by half the yoghurt. Repeat this until everything is combined. The dried apricot will be left in the sieve, covered in flour. This stops it sinking! Stir in the dried apricot. 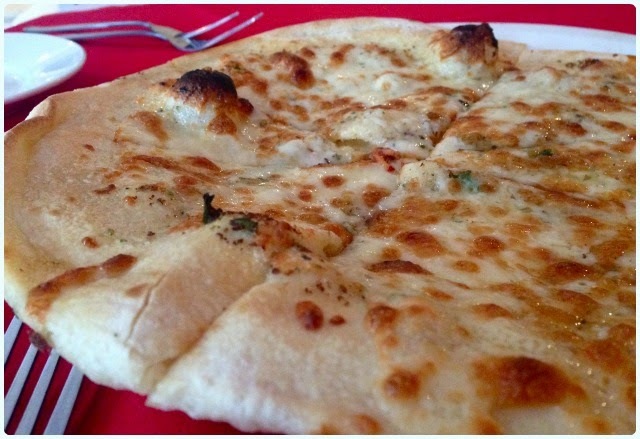 Bake in the centre of the oven for about 1 hour 15 minutes or until a skewer comes out clean. If you are using bundtlettes check after about 45 minutes. Mine were about a quarter of the size of a regular tin and took about an hour. When completely cold, melt about 2 tbsp of apricot jam and brush over the cakes. I decorated mine with some lovely sugar chunks. We are actually booked into Lady Dinah's Cat Emporium in October, but I was determined to get to stroke some puss cats before then. We went down to London a couple of months ago, but no joy. Then (cue dramatic drumroll) I saw a tweet saying they had experienced a few 'no shows' for planned bookings. 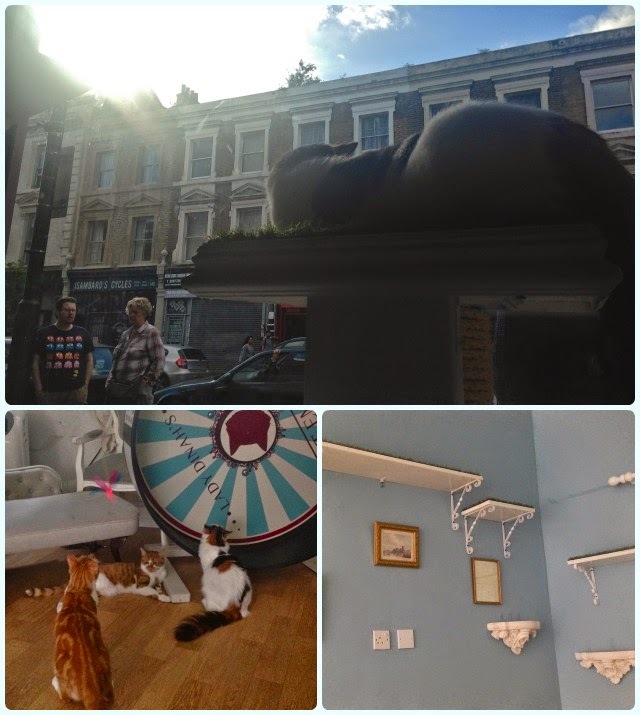 We were visiting on the day of the first England match in the World Cup - prime real estate for flakey feline bookers. 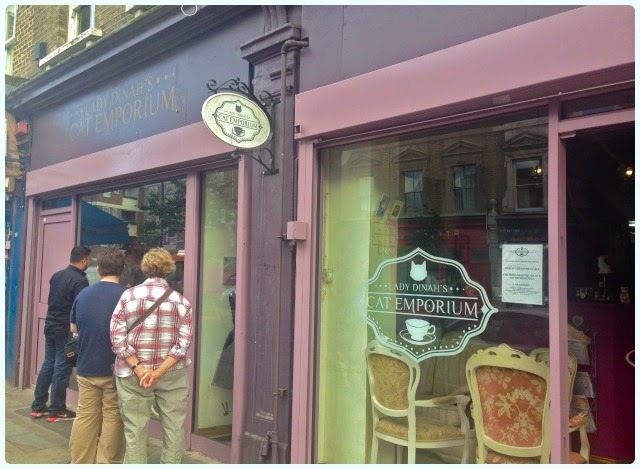 We popped over to Shoreditch around 2.30pm and pleaded with the lady on the front counter. Eyelashes were fluttered, the 'mad cat lady' eye-glint was summoned and cat-faced shoes were pointed at. I was using everything I had with the keepers of the cats. She advised us to come back for the later session around 4.30pm to see if there were any cancellations. And there shone a shiny glimmer of hope... At 5pm we were told that two people hadn't turned up. I'm going to be honest with you, if they had turned up at this point I may have kicked them. Hard. Before entering Lady Dinah's you are told of the house rules; no mithering sleeping cats or generally getting all up in their grill - in other words, don't do what you do to your own cats. There are gaps between the sessions for 'cat naps', and it's obvious that their welfare comes above everything else. Saying that, everyone who was in there seemed to know how to handle themselves around feline friends. There was plenty of supervision to ensure the cats were happy. The dining room is cat heaven. Toys are strewn across the floor, tunnels and tubes provide handy hiding places, wall shelves mean they can get away from the action when needed, there's a hammock stretched across the stairs, and even a giant wheel that the cats can run around. 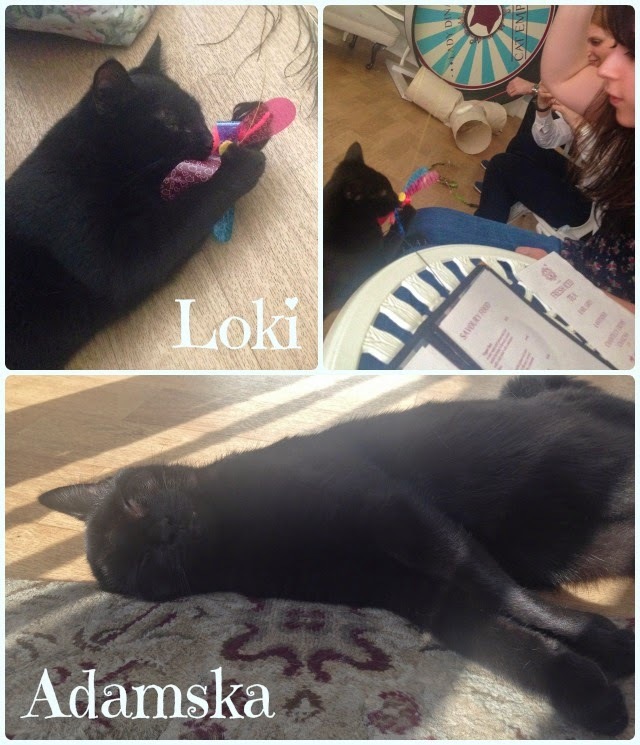 Whilst some were clearly sleepy from the morning's excitement, others (namely Loki and Indiana) were happy to jump up on people and chase multiple things on sticks. 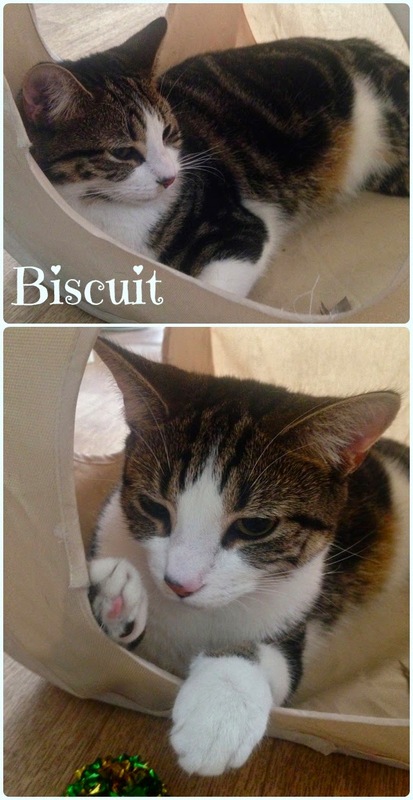 I was really very fond of Biscuit because she looks a little like my own Poppy monster, and Loki the little panther boy, because her reminded me of my late Charlie Boo - a right little bugger who loves to chase things. He was rather fond of grabbing the butterflies on sticks and running off with them! I hear that Donnie is head honcho of the Emporium's cats. 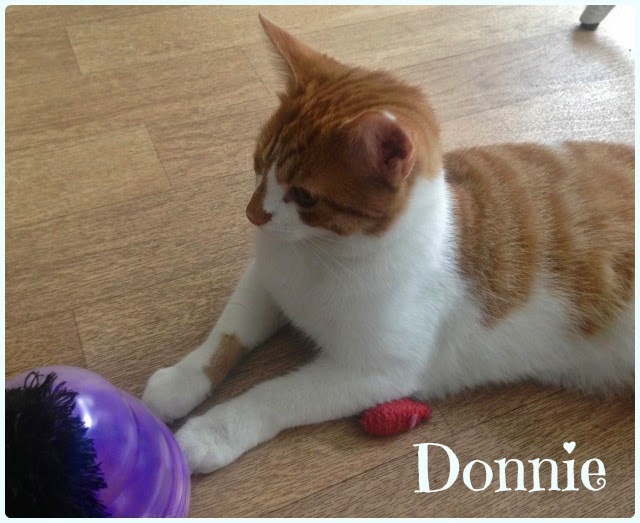 He's a right little sweetheart who enjoys belly tickles and head rubs. Mew is the mummy of most of the cats who live at Lady Dinah's. She was busy standing guard at the window, unamused by the crowds of people looking in. She has perfected the nonchalant, 'blue steel' gaze, but seemed quite happy to have a belly ruffle! 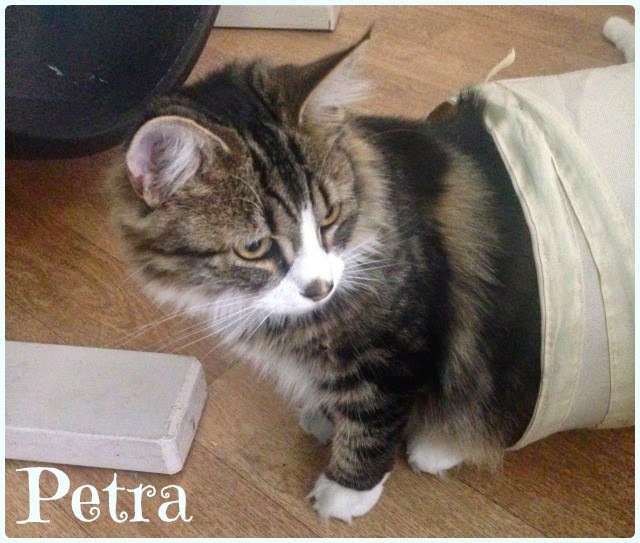 Little Petra. A right little fluff bag with tufty toes! She has a big bushy tail and a tiny wee face. She was enjoying hiding in the tunnels but soon wanted to join in when her brothers were getting all the attention. 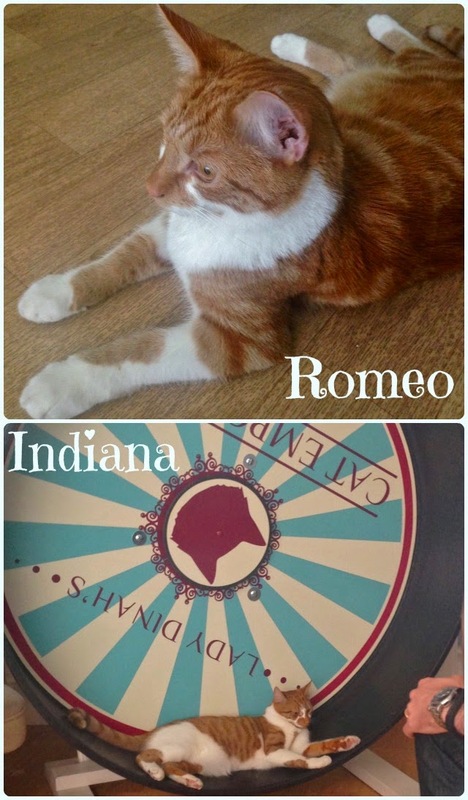 Indiana and Romeo are a right handsome pair. They spent most of their time sphynxed on the floor with brief periods of plastic butterfly chasing. 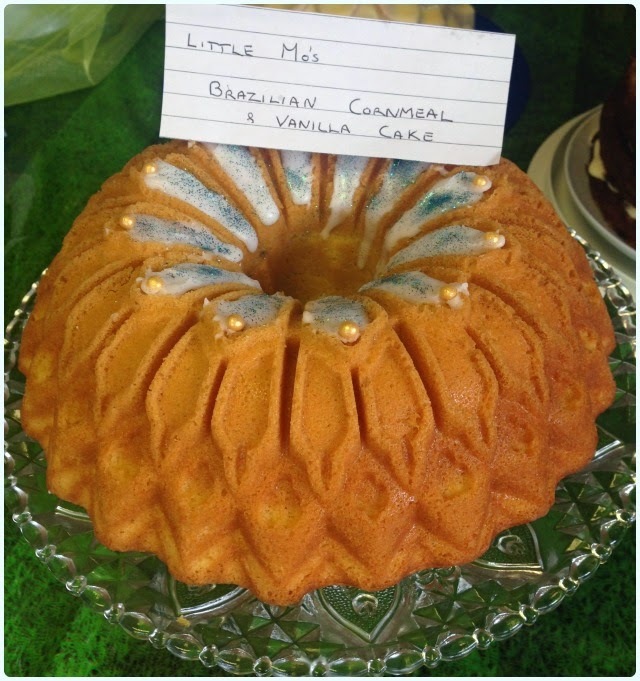 Nearly forgot to mention... they do food too! We were far too entertained by the cats to notice much about the food to be honest. 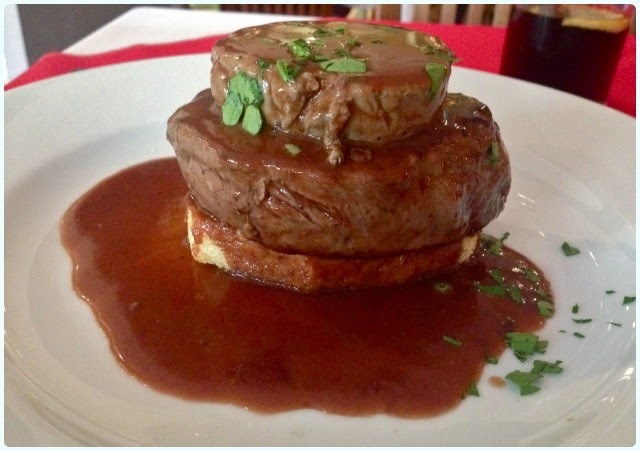 They could have served me Baldrick's rat fricassee and I probably wouldn't have batted an eyelid. However, I did stop for a moment to take a mental note, and of course some pictures. 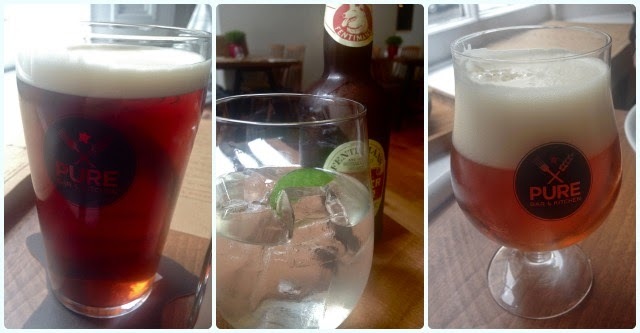 It was a little warm for tea, so my husband went for lavender iced tea and I had Fentiman's dandelion and burdock. 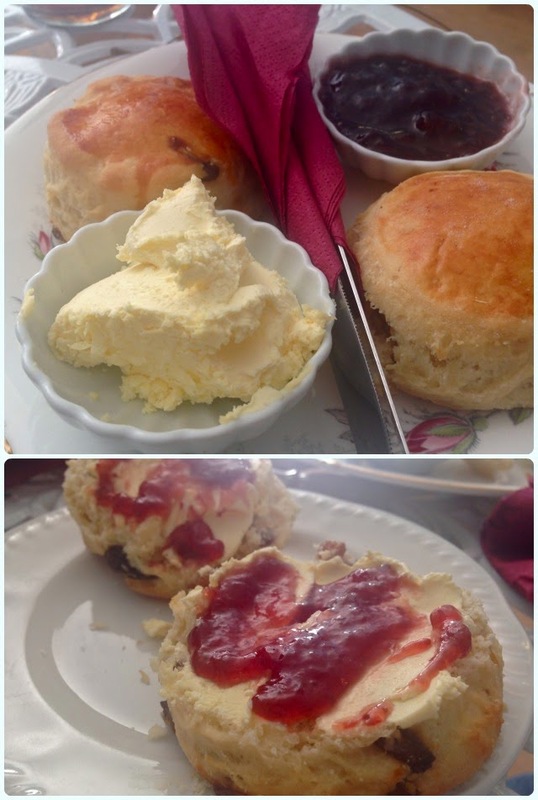 We ordered a couple of scones too (one plan, one fruit), which came with clotted cream and strawberry jam. Delightful. If you're a cat lover, you recognise another when you see one. The ladies who run Lady Dinah's Cat Emporium clearly love their boys and girls. The cats are incredibly well looked after, and their every need is catered for. 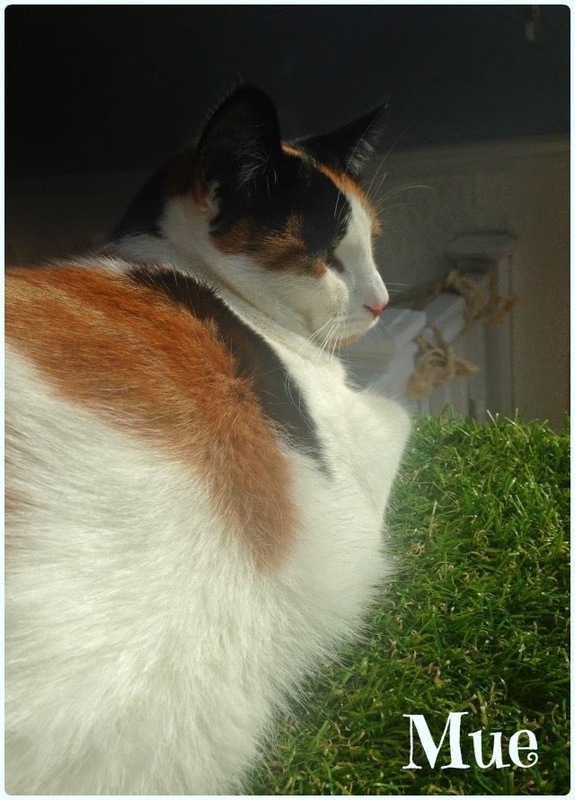 There is a £5 charge to enter Lady Dinah's, which goes towards their care and vets bills. Our little Poppy had been quite poorly this week, so I think we were due some catty good luck as a result. As we left for London on Saturday morning, our little poppet was feeling much better. We both got the vibes that it was worth the risk of cancelling our dinner reservation in order to take a chance on Lady Dinah's. I'm so glad we did, we had the time of our lives. Disclaimer: I understand that this post has demonstrated just how mental I actually am. You have become privy to lingo commonly used in our house, which may make no sense whatsoever to the average layperson. If I've caused confusion, I apologise. If you don't like cats, then I doubt you got this far anyway! So I bought some train tickets on a whim. A fiver each way to Birmingham? Rude not to. We had already ticked all the fine dining boxes a few years ago, so I fancied trying a couple of places doing something a little different. I asked Twitter and Facebook, but nothing was really shouting out, so I left it until a couple of days before we went, and then panicked! 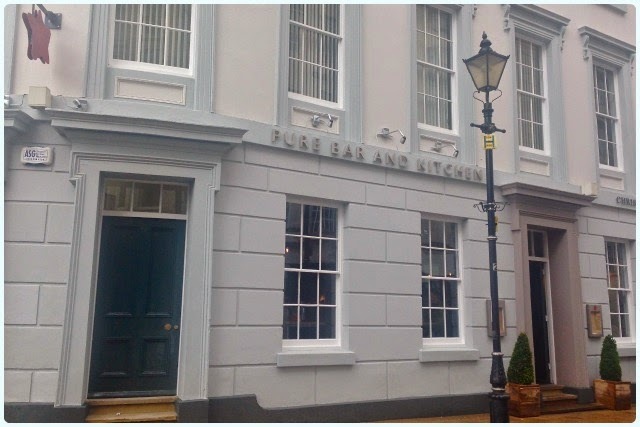 Luckily, during this 'head in sand' period, Pure Bar and Kitchen opened. It was launched a couple of months ago by the Purity Brewing Company (makers of Pure Ubu - the one with a dog on it...) and seems to have evaded my radar until last Thursday. It could have gone either way to be honest. Was it going to be a bit faddy? All beer and no decent food? 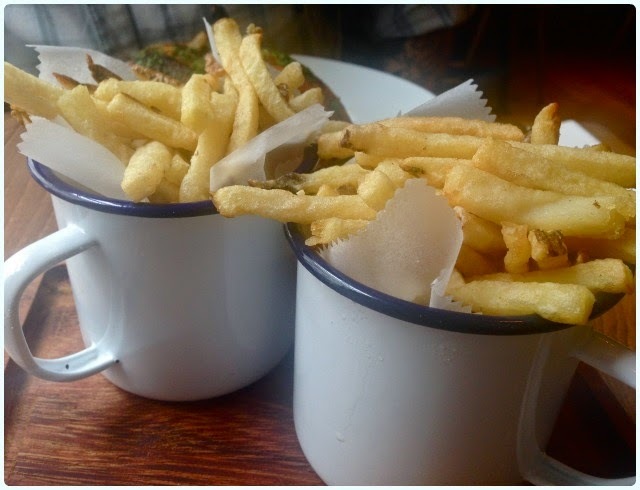 Anywhere that's matching craft beer with food deserves a look in, in my humble opinion. We chose possibly the wettest day of the year so far to venture to the Midlands. 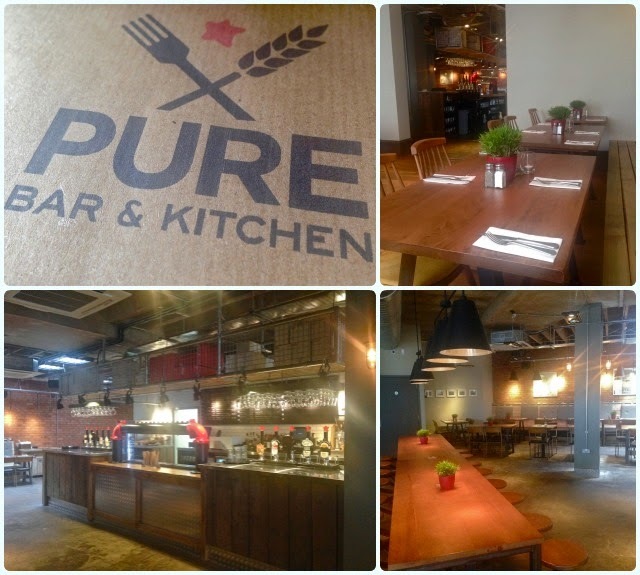 By the time we got off the train it was absolutely lashing it down, so it's a good job that Pure Bar and Kitchen is only a five minute walk! Suitably drenched, we were greeted by a bubbly redhead called Jodie. We loved her from the moment we met. We were seated by the window where we watched other unfortunate souls get washed down Waterloo Street. We both loved the dining space. Tables are well spaced with a mixture of free-standing types, benches, and one long table in the centre. In the middle is a rather handsome bar, with a ridiculous amount of beer on tap, with more bottles lurking behind. Whilst I was happy with a Fentiman's Ginger Beer, my husband went straight into a pint of Cwtch by Tiny Rebel Brewing Co (he gave this 4/5 on Untappd). This was closely followed by IPA by Lagunitas Brewing Company (4.5/5). They have an absolutely fantastic range of beers, and not only from their own brewery. They genuinely want people to enjoy good craft beer. Jodie also recommended we go to the Post Office Vaults down the road, who have one of the most impressive bottle lists I have ever seen! They had 330 at the last count... Paddy got to try a Trappist Westvleteren 12 by Brouwerij De Sint-Sixtusabdij van Westvleteren which is pretty tricky to get hold of here. Dunkel BBQ beer glazed chicken, frites and salad (minus the salad in this case): A big, juicy chunk of chicken with the most beautiful crisp skin, home made sauce and moist flesh. Unbelievable. I pondered how they must cook this to get the outside so crisp whilst the inside remained so juicy... my husband suggested 'with a wand'. I know they were only fries, but hell fire, they were magnificent. I'm not sure how or why, they just were. I ate every single one of mine. Pig. Steak, frites with Longhorn IPA shallots: Jeez Louise. Charred on the outside, rare on the inside. My mouth is watering just looking back at the picture. It almost makes me angry (this happens a lot). The addition of the sweet Longhorn IPA shallots to this tender steak was just mind boggling. 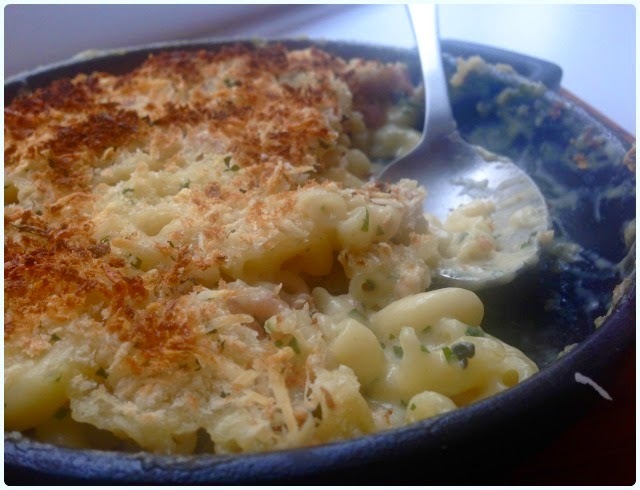 Mac and cheese with bacon bits: Served in a hot skillet and finished with toasted breadcrumbs, this was an absolute delight. I'm just angry that I left some and could now devour a whole pan (there I go with the anger again). 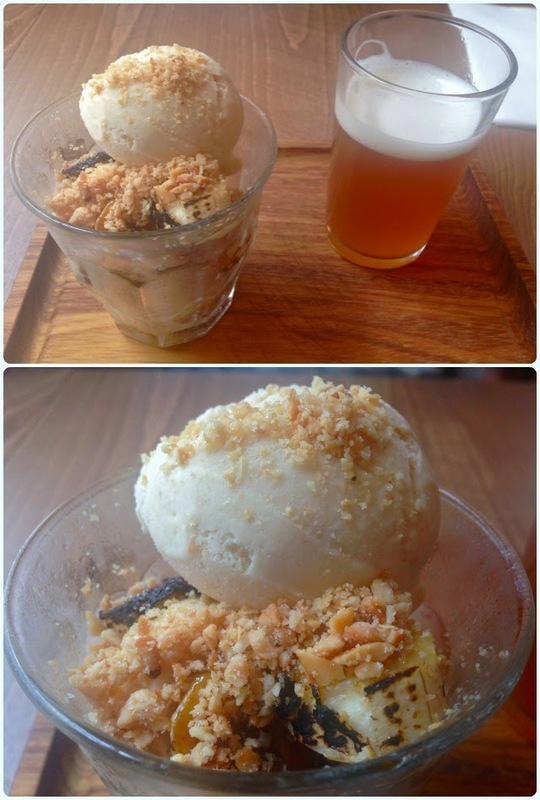 Peanut butter ice cream, hot caramel bananas with mini Maisels Weiss: This was a recommendation from Jodie. Husband demolished it and the beer it came with in a couple of minutes flat. Enough said. (Maisel's Weisse Original by Brauerei Gebr. Maisel 4/5). 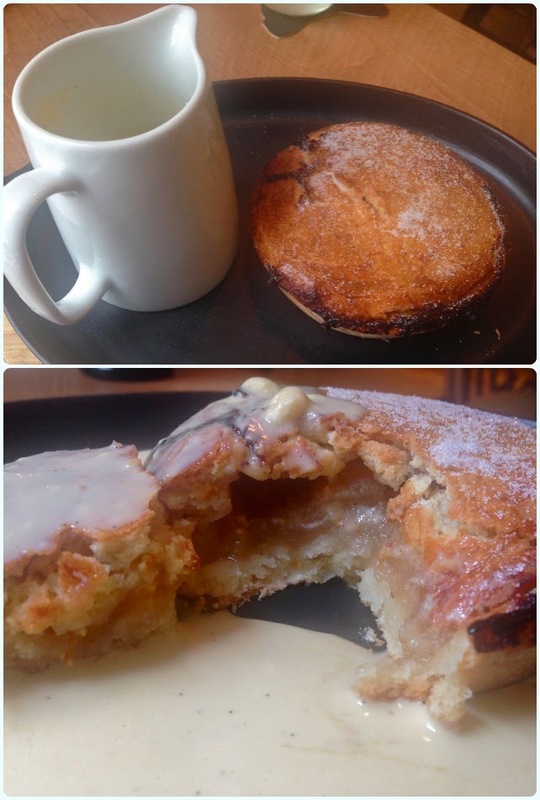 Apple pie with oatmeal stout custard: A little individual apple pie with a sugar encrusted lid, served with hot oatmeal stout custard. 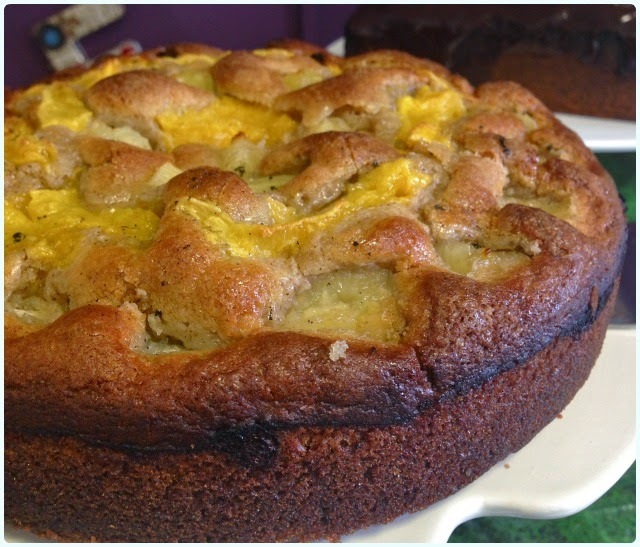 Packed with tangy apples and plenty of cinnamon - absolute heaven. 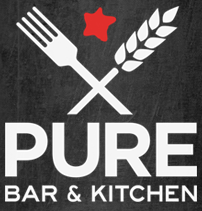 I thought Pure Bar and Kitchen may have been a bit of a gimmick, but we were pleasantly surprised with what we found. 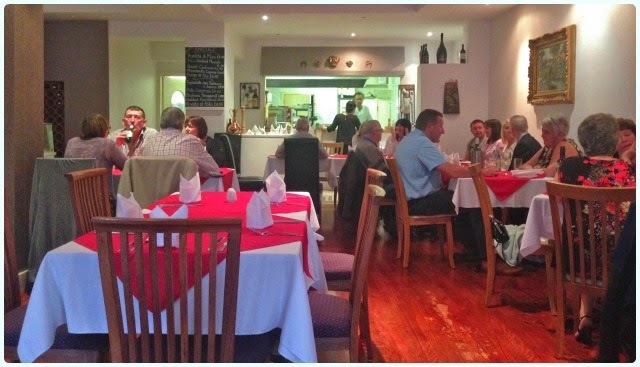 Not only was the food absolutely fantastic, but the service was outstanding too. 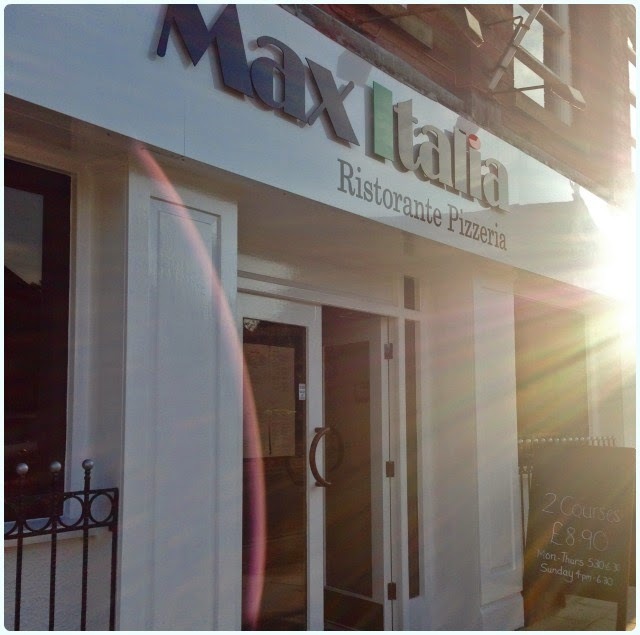 We were made to feel really welcome from the moment we stepped in the door, and were even given a few recommendations of other places to visit whilst we were in the city. Jodie even popped over to say hello when she saw us in the Post Office Vaults later in the afternoon. If you're in Birmingham city centre anytime soon - go. I really must insist.